For five centuries, the inhabitants of Hvar have been celebrating Easter in a very special way, with the procession "Za Križen", (Following the Cross). This is one of seven phenomena of Croatian cultural heritage recently put on the UNESCO World Non-Material Cultural Heritage List. The traditional nighttime procession begins on the night from Maundy Thursday to Good Friday at exactly 22 o'clock from the six churches in the central part of the island, namely: Vrbanj, Vrboska, Jelsa, Pitve, Vrisnik and Svirce to the roundabout during the procession to 7 o'clock in the morning returned to its starting point after visiting all church and devotion to each of them, and that they never meet! The head of each procession is a cross-bearer, followed by people dressed in white brotherhood tunics and numerous worshippers and pilgrims who carry candles and rosaries and sing „Lamentations of the Virgin Mary“. Arrival to airport Split. Transfer to port Split and short sightseeing of city centre. Split is the second biggest city of Croatia. It was founded in the late third century, when the Roman emperor Diocletian built his palace here and ruled from it with the world, leaving to the town the heritage of breathtaking architecture. A thousand-seven-hundred-year old Diocletian’s palace is subject to the world cultural heritage protection. Embark the catamaran to town Hvar. Accommodation in one of the hotel in the centre of town. Dinner and overnight. Breakfast at the hotel, followed by sightseeing of town Hvar. 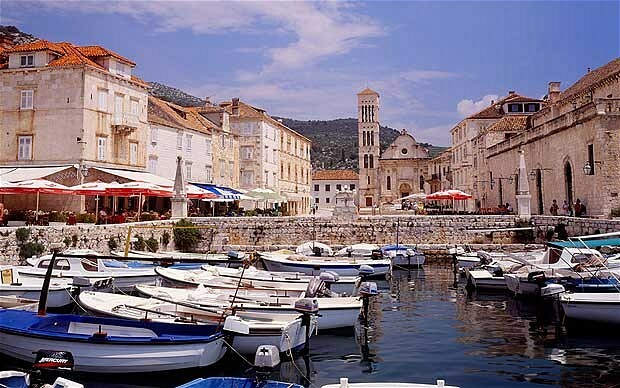 Hvar is the sunniest and longest Croatian island, and town Hvar is the largest settlement on this island. Take a look of first public European theatre and renaissance Cathedral of St. Stephen. Walk up to the hill, 88 meters above town is situated Fortress “Espanjola” built in 16th century. From here whole town, together with Paklini island can be seen. At the end, sit in one of local restaurants and try one of traditional dish, such as lobster and red fish stew or sit for a coffee in one of cafe situated on Pjaca – the largest square in Dalmatia. In the afternoon time at leisure for rest to be ready for tonight Procession “Following the Cross”. Transfer to town Jelsa for participating in the procession "On a clear night the crosses go by. They have been going by for centuries as a symbol of an on-going tradition and religion. They pass the same route and over the same hills. The magic and profound meaning of the Procession has not faded with time". After procession transfer back to hotel. Overnight at the hotel. Breakfast at the hotel. Due the early morning arrival from procession, day at leisure. Traditional lunch with fish menu. Late during the day in the town Hvar enjoy in afternoon or evening procession with traditional old songs. Overnight and dinner at the hotel. Breakfast at the hotel. Half day tour around island Hvar. Drive through Jelsa/Starigrad valley towards Starigrad, the oldest town on the island and one of the first in Europe. Visit of Dominican Monastery, founded in 1482. Short walk through the narrow streets, will bring you on the main square. Statue of poet Petar Hektorovic will welcome you to his fortified villa, Tvrdalj, situated in the middle ot the town. It was built at the beginning of the 16th century, has Croatian and Latin inscriptions, a fish pond sourrunded by arches and a park. Before continuing to village Vrisnik, spend a free time in Starigrad. On the way back to Hvar, lunch in traditional local restaurant. In the evening presentation of traditional egg coloring. Dinner and overnight at the hotel. Easter breakfast at the hotel. Going to the Easter mass. Before traditional Easter lunch, excursion Paklinski islands boat safari. The name of this tiny archipelago (about twenty islets right opposite the town of Hvar) which extends undulating along the south side of Hvar comes from the word "paklina" (melted pine resin for 'rasping' boat plating). This archipelago is the most beautiful part of the Hvar riviera. In the afternoon time at leisure. 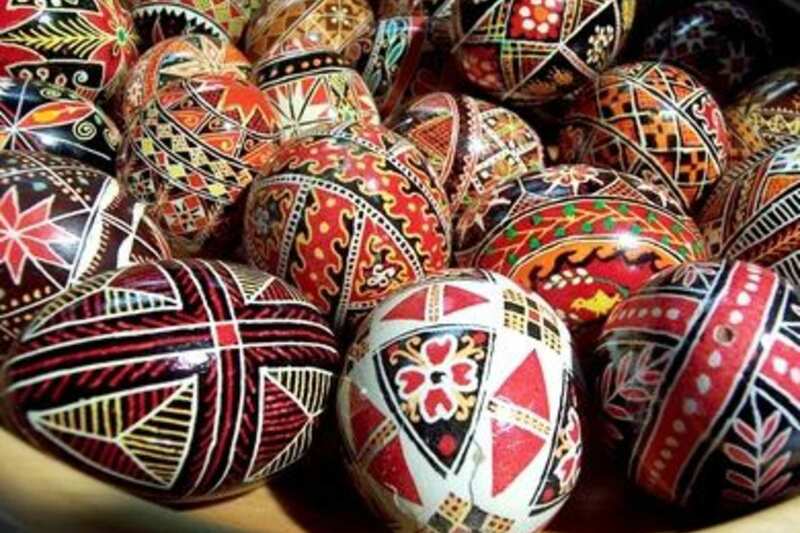 Let up to the festive mood and breathe the atmosphere of spring animated by Easter magic. Breakfast at the hotel. Transfer to airport Split for afternoon flight back to home.